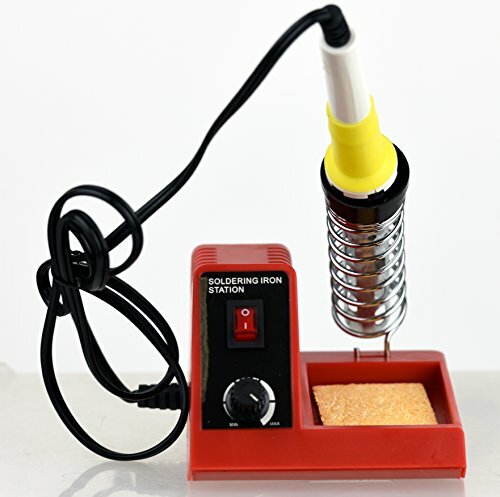 A soldering station is a piece of equipment built to make the soldering process simple and effective for home or professional use (Source). Soldering is typically employed to connect 2 bits of metal to produce a joint, though plastic materials could be soldered too (Source). 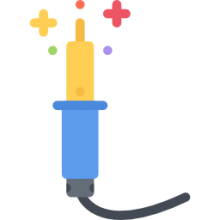 Soldering irons supply their users a regulated supply of heat that you can use to manage the materials employed in the soldering process to achieve a cleanly soldered joint (Source). Soldering is a straightforward enough process that high school kids learn it in shop class. As well, professional tinkerers love these devices and employ them for a variety of technical purposes. Let's take a look at 5 of our favorite soldering stations. This Hakko soldering station has a temperature range of 392 to 896 degrees Fahrenheit and is controlled by a digital calibration system for easy adjustment. It also features a ceramic heating element to ensure fast heating and quick thermal recovery. For comfort and ease of use, it has padded slender iron handles with ergonomic design. Preset temperatures so you don’t have to calibrate the temperature each time. The display temperature displayed is not always exactly accurate. The Aoyue 9378 is one of the more robust solder stations, including a digital thermostat control for Fahrenheit and Celsius readouts and a programmable sleep function for increased tip life. 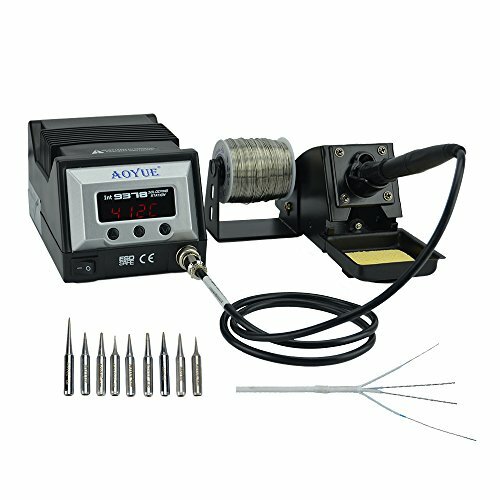 It is a versatile piece of soldering equipment as it comes with over 10 tip sizes and two programmable temperature presets. Moreover, it gives you total control of the temperature as it has a red LED display that shows the current temperature and the temperature while heating up. 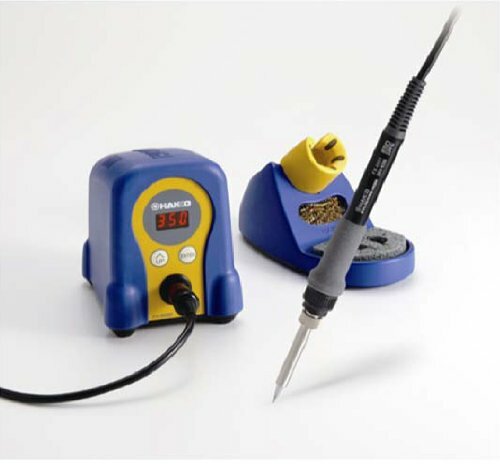 This 60-watt Tekpower soldering station is lightweight option with a cool grip rubber handle for comfort. It has a copper tip that is plated with nickel iron for longer life. The tip has a temperature range of up to 860 degrees Fahrenheit with an especially quick heating time and fast heating recovery. 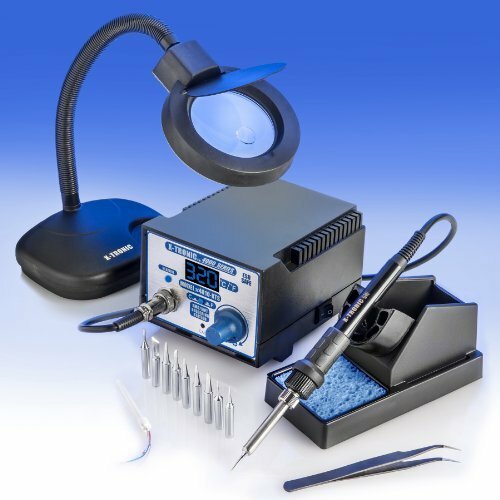 The X-Tronic Model is one of the soldering stations that includes some useful extras, including a stand, a Samsung microcomputer processor, a magnifying gooseneck fluorescent lamp, 10 soldering tips, an extra heating element and tweezers. It is suitable for a variety of soldering purposes as its temperature range reaches up to 480 degrees and the temperature can easily be selected with a flip of a switch. 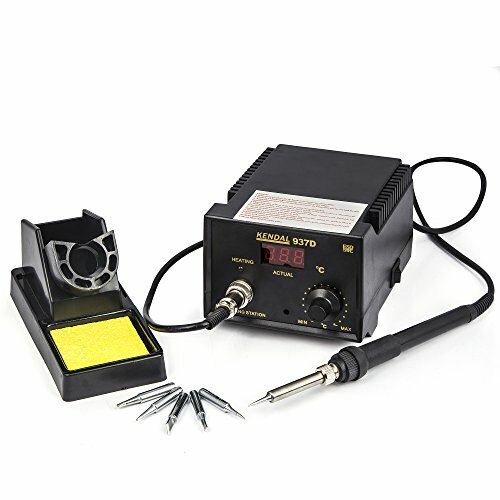 This 45-watt Kendal soldering station features an LED digital display that shows temperature precision. It has a temperature range of up to 480 degrees Celsius that can be easily controlled by a computer system. When you buy this item, it comes with one spare heating element and five iron tips. Users who employ their soldiering stations for wiring and circuitry projects sometimes have to replace the tips when and if they melt. That said, those who purchased the Weller 40-watt station claim that they have not had to replace the tip because it is of higher quality than many other models. Another reviewer also writes that using their Weller soldering station they're able to use different soldering irons with it, as long as they do not exceed the recommended wattage rating. Another Weller station fan claims the unit will heat up within five minutes using medium settings, and 1-2 minutes when the settings are set at their max. Many users prefer there to be temperature marking increments on the dial to exactly ensure the temperature of the soldering. In terms of noise, users write that soldering stations are generally only noisy when the fan of the hot air gun is blowing. It's sometimes preferred to purchase a carrying case to keep all of the units components in one space. Another handy feature that many users appreciate is the ability to swap out the tips without having to use a screwdriver. For international users using 220V, many soldering stations can only be used with 110V circuits. Most of these soldering kits will include instruction manuals, solder suction, an iron stand, a sponge as well as the solder iron itself.